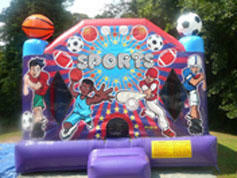 This bouncer is huge and great for any sports fan! Includes basketball, soccer, baseball, and football themes! 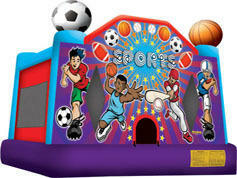 Up to 10 children can jump at a time in this castle, or any of our 15x15 foot moonwalks.